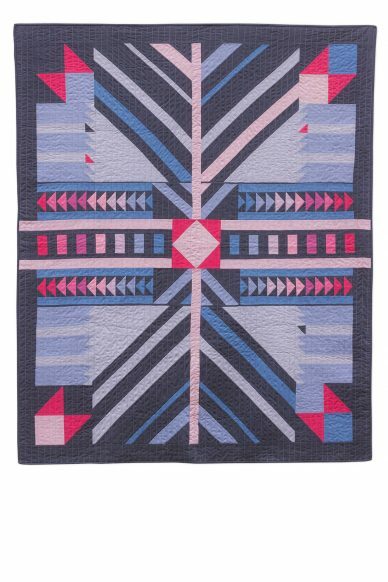 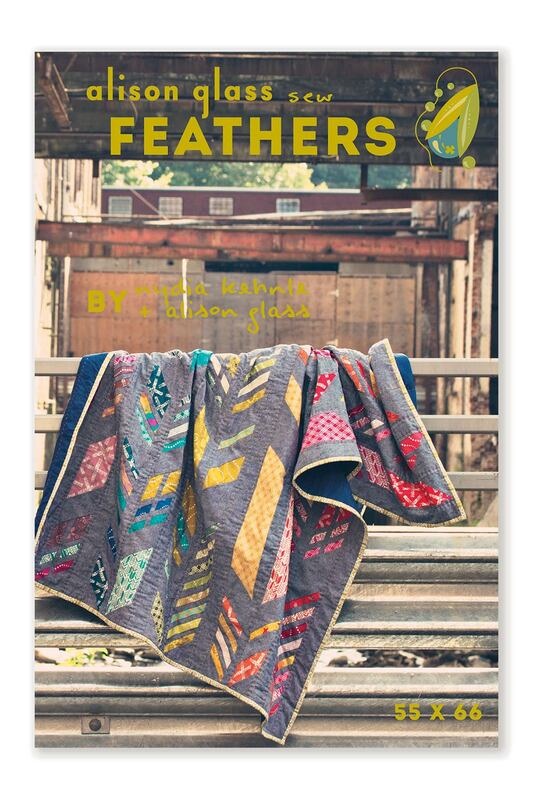 This is a listing for the Feathers quilt kit in Chroma. 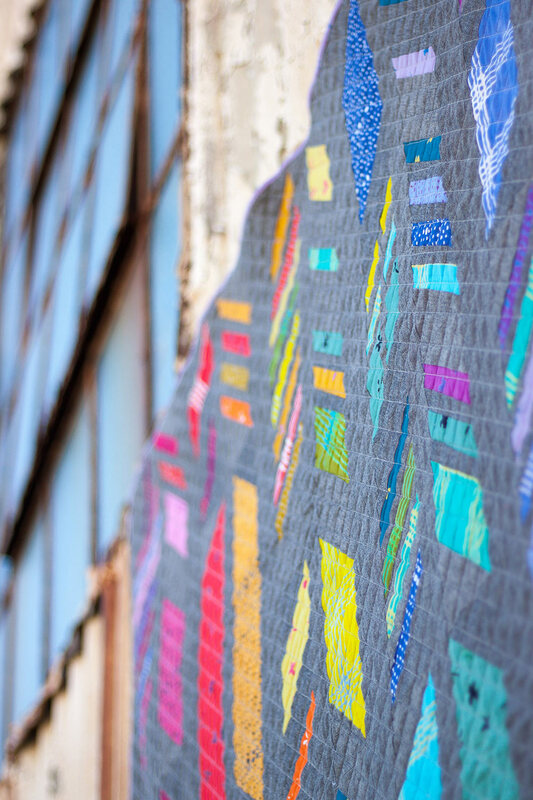 Based on the Feathers fabric design from Sun Print 2014, this large scale version of the design uses foundation paper piecing for a precise finish. 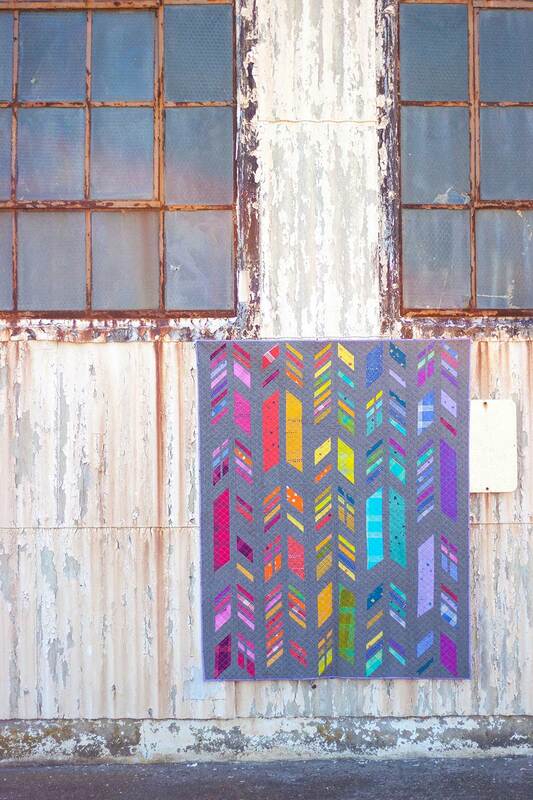 Fourteen block templates can be arranged as shown or in any other distinctive combination. 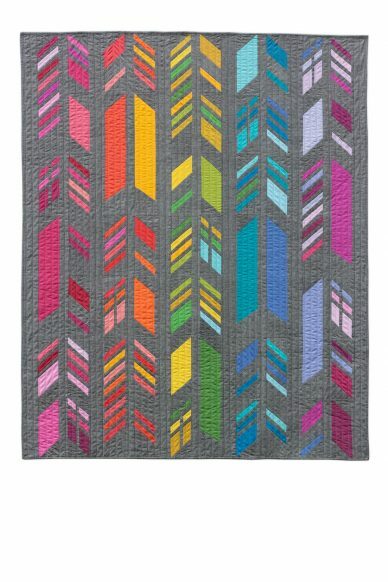 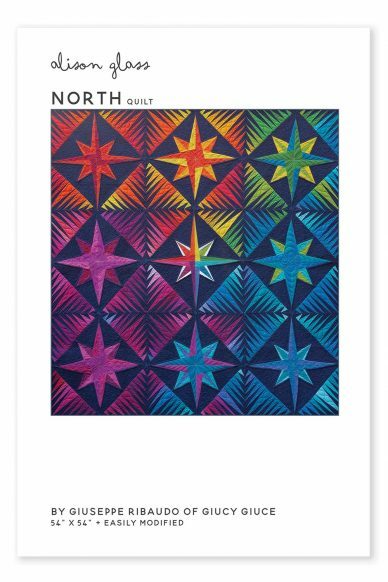 Simple shapes, detailed instructions and color illustrations make this pattern by Nydia Kehnle and Alison Glass a great introduction to foundation paper piecing. 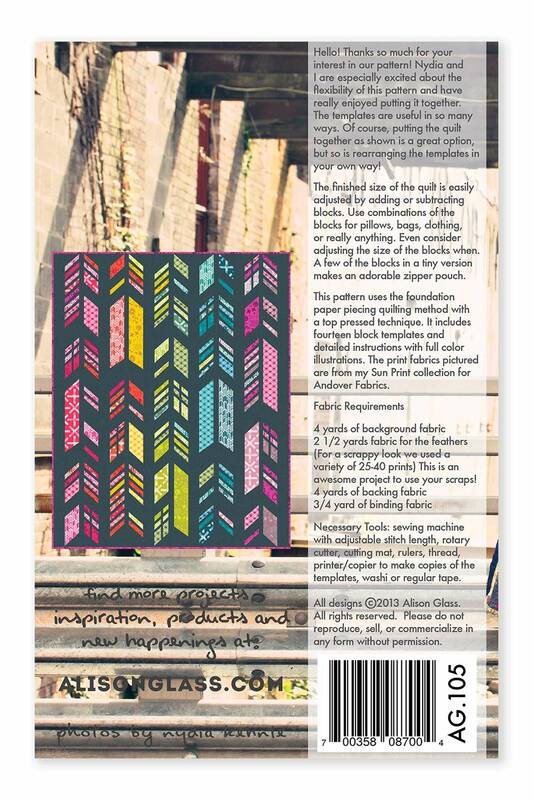 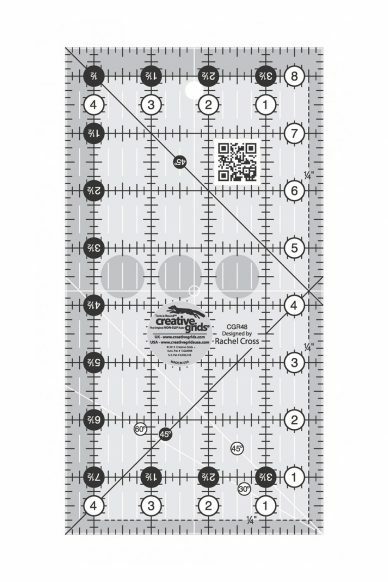 Kit includes: fabric to make the quilt top, binding, and a printed copy of the pattern.